All about us — Natasha Spencer Weddings & Events | Specialist marquee wedding & events planner based in Kent. Natasha Spencer Weddings & Events is a bespoke weddings and events planning company based in rural Kent. We deliver a completely personal, high-end service to create exceptionally beautiful occasions that defy expectation. Meet Natasha Hildyard, founder of Natasha Spencer Weddings & Events. I started Natasha Spencer Weddings and Events as a way of bringing my passion for events to life, whilst working in my home county of Kent. I adore the blank canvas of planning a wedding or celebration in a marquee; it offers so many opportunities to create a truly exceptional event that guests will be talking about long after the last of the champagne is enjoyed! I believe in hard work, determination and meeting your vision with style, elegance and sophistication. I’ve always had what my husband will call an ‘obsession’ with weddings. Personally, I believe it is an eternal love! 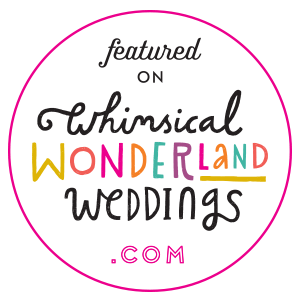 Either way, I want to use my passion to provide you with the best possible experience in helping to plan and execute your perfect day without a shred of stress along the way. I spent my early teens drawing wedding dresses and dreamt of opening my own bridal boutique, offering a bespoke made to order dress service. Throughout school, my love for all things wedding never faltered - I spent more time watching ‘say yes to the dress’ (still a guilty pleasure of mine) than I did studying! After school, I spent a bit of time not quite knowing where I wanted to be and feeling as though a piece of the wedding puzzle was missing. At the age of 19 I met my now husband, and two years later we were married. In recent years, I’ve planned numerous charity balls, parties and my own wedding. I discovered my natural flair for planning, precision and style, (I LOVE a spreadsheet…) and finally that last piece in the puzzle! From there, Natasha Spencer Weddings and Events was established. In May 2016 I lost my father Spencer very suddenly. He was an incredible businessman, establishing his own successful company in 1989. Hard working and very driven, he instilled an incredible work ethic in me. He is the inspiration behind Natasha Spencer Weddings and Events. I’m very family orientated and believe firmly that friends and family are at the centre of every big occasion. Whether we’re planning your wedding together or a big party, we’ll work together to create an incredible celebration which your family and friends will remember for a very long time. It’s all about making unforgettable memories, surrounded by the people you love most in the world. I am married to my wonderful and very supportive husband Chris. We have what I call my ‘mini assistant’ Amelia, and our two handsome cocker spaniels, Artie and Jagger, who keep us company in the office.